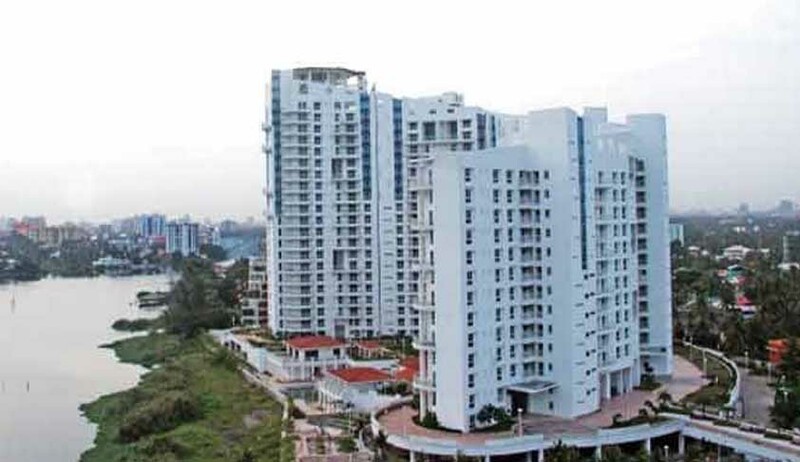 Kerala State Coastal Zone Management Authority [KSCZMA] has approached the Supreme Court challenging the Kerala High Court Judgment that allowed DLF to deposit Rs.1 crore to regularise an illegal construction done in violation of CRZ norms. There are almost 180 odd luxury flats being built by DLF and the project cost in in the region of over Rupees 300 crores. A single Judge of Kerala High Court had held that there was clear violation of the relevant provisions of law and that the unauthorised construction effected by the builder, besides the bank of the Chilavanoor backwaters in Kochi was never liable to be regularised and, hence, it was ordered to be demolished. The real estate firm then approached the division bench in appeal. The division bench, though observed that the structure is illegal, said causing demolition of the structure at this stage will be more detrimental than causing it to be retained; also with a view to lessen the probable additional damage to be caused to the environment in this regard. The court then ordered Rs.1 crore as penalty, which is ‘to be used exclusively for building up the environment and to maintain ecological balance in the area situated on the eastern side of the Chilavannur river”. The court also observed that the construction is not in CRZ – I area [where construction is prohibited] but in CRZ – II area [where construction is possible, but to be regularised]. This is more so, since only a portion of the entire property is coming under CRZ – II area and with regard to the other portion, the CRZ notification is having no application, but for the applicability of EIA clearance, the bench observed. In the petition before the Supreme Court it is submitted that, in the context of ‘regularization’ of unauthorized constructions, particularly those violating the laws and norms set up for protecting the environment around the coastal areas like the Coastal Regulation Zone [CRZ] Notifications, as in the present case, the Supreme Court has taken an unequivocal and clear stand against erring real estate promoters and builders, who endanger the fragile coastal ecosystems in our country. “The Supreme Court while dealing with cases involving infractions of the CRZ Notification has been always clear, firm and consistent. A strong message has been sent in various judgments of the Supreme Court across the country, be it in the naturally endowed state of Goa or in the pristine waters of Lakshwadeep that such violations and deviations will be dealt with an absolute zero-tolerance and that the offending constructions and deviations have to be entirely demolished whatever be the stage of construction”. According to KSCZMA These serious lapses fraught with enormous collateral ecological damages cannot and should not ever be allowed by the Courts to be regularized as has been erroneously done by the Division Bench in the impugned judgment; and condoned by payment of a monetary fine.